become a facilitator, transform our world. The My Love Bomb Program Facilitator Training is designed for a woman who is looking for a way to build fulfilling and empowered community in her own city, to help transform women's lives on a deep level, and to contribute to a more peaceful society for everyone. If you look around and perceive that as a society we are racing far too fast, disconnected from ourselves and others, in a cultural pattern of "fight or flight" and fear, then we are on the same page. As a chiropractor I have witnessed this inside of my practice for 10 years, seeing the ways that this race and disconnect ravages our health, our relationships, and our pleasure in life. As a human I have watched this tendency ravage our society causing an increase in symptoms of cultural disconnection pathology since my experience of human atrocity during 9/11. This witnessing led me to find my "love bomb" by giving of my gifts as a yoga teacher, chiropractor, Concept Therapy instructor, and later, filmmaker (I invite you to watch Love Bomb right here), as well as transformational media maker, and developer of the My Love Bomb Program and the You Matter Women's Groups. Inside of the facilitator training program, we join together as an incredible spiritual sisterhood- each unique in our ways of expressing a dedication to love and service on the planet, as well as, each connected at the heart in our dedication to embodying a vision of greater peace on the planet, starting inside of ourselves and our communities. We dive into personal transformation through the My Love Bomb Program for ourselves, and then learn to lead it by studying and preparing to lead the material April 26-Jun3 14, leading up to experiencing the group portion of it at our core training retreat June 20-24, 2018. We then continue with weekly group phone support for leading your first My Love Bomb Program this September-October, 2018, as well as launching your own chapter of the You Matter Women's Group inside of your city. As your guide and partner in this process, I am extremely dedicated to seeing you succeed through group coaching as well as individual conversations where we work to determine the best way for our systems to be implemented into your unique life and community. This is the right opportunity for a woman who is ready and willing to be on a continual personal process of authentic unfolding to an open-hearted and fulfilling life, while assisting other women to do the same. When I said yes to becoming a facilitator I was riddled with doubt, lacking confidence, unsure how it would go or whether I would be “good at it” ...but there was a spark in my spirit I knew better than to ignore. I was called to be a part of this movement and be a vessel to bring this material to others. Last night that calling materialized. I was exactly where I needed to be, on purpose, in my light, in awe, so humbled and so absolutely totally stoked. FULL CIRCLE. In every sense. This morning I am reflecting on staying our course, saying yes despite doubts or fears because we have faith in that little voice that encourages us to go for it. The power of holding space for women to experience MLB is setting in pretty deeply this morning. It is bigger and better than I had ever imagined and I am FUELED at my core to be a ripple in this movement. Make an incredible impact on women in their communities by hosting You Matter Women's Groups (We now limit the opportunity to one active facilitator per zip code). These are monthly free or low cost gatherings curated by Dr. Rhea so that you can deliver a safe space for women to connect, grow, and serve. Together all of our groups form a web of interconnected women dedicated to living love and connection in their lives. Help these women go even deeper in their personal growth and transformations by facilitating the Weekly 1.5 Hour In-Person Portion of the 8 Week My Love Bomb Program. (Your curriculum to do this is provided in the facilitator training). Programs Run Feb-March and Sep-Oct Annually. *Some facilitators enjoy having a "buddy system" where they have another woman in their community to share the tasks of running the You Matter groups, facilitating the program, and enrolling participants. Host a You Matter Women's Group Chapter in your community. Receive pre-curated guidance for monthly activities for your group gatherings. Receive active group coaching and individual support through your entire experience of leading You Matter Women's Groups and the My Love Bomb Program. Deepen relationships with clients and/or peers. Become a beacon of hope and positive transformation in your community while seeing direct results in the lives of clients and the people they will touch. Feel the ease of optimism as you contribute to a positive change for humanity. If you have taken the My Love Bomb Program and your heart is telling you that this is something you would love to do, then we know to trust the next step and go for it! If you are hearing about or considering this path and and it's too late to actually take the program before the April start of Facilitator Training and you are not a graduate of the My Love Bomb Program, no worries. Once we talk personally and know this is the fit, I will streamline you into doing the virtual program April 26-June 14, 2018 as we study the group activities in preparation for you to immerse at our in person retreat June 20-24, 2018. Please connect with me by scheduling a 30 minute conversation at this link, or email me at dr.rhea@blossomlife.com. Payment Plan Available: 5 Payments of 549.80 auto-debited every 30 days from Payment 1 for those beginning in April, 2018. For those who have already taken the My Love Bomb Program, your tuition is placed towards the $2749 investment for the 2018 training only, so your tuition would be $2749 - what you paid for your program. Payment plan of 4-5 payments available for those in this situation. Limited to 15 Participants Maximum. 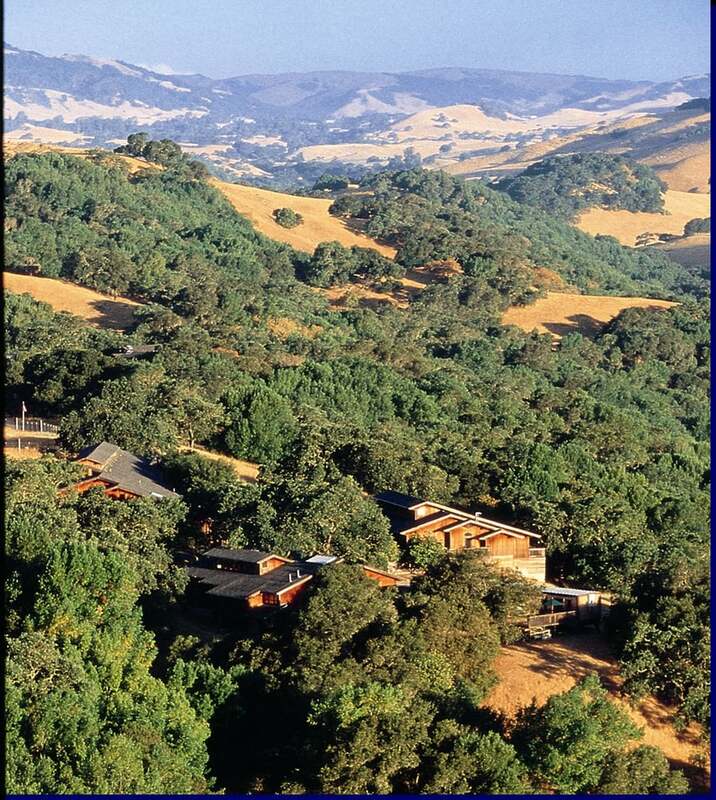 Earthrise Retreat Center, Petaluma, CA, Includes 4 nights lodging in single room with shared bathrooms, and all meals from dinner upon arrival to lunch upon departure. The retreat experience is the highlight of this entire training. It is so awesome to literally sit in circle with the incredible participants of this program while running through group experiences and preparing to facilitate. The "high" feeling of LOVE at these trainings is absolutely transformational and palpable. Mix that with great food, integration down-time, and incredible friendships formed while having personal expansion- this retreat alone will be an experience you will treasure. You will head home bonded to the other leaders you are on this path with and feeling fully supported as you now bring this incredible feeling to women in your city. Includes coaching on launching and building your first My Love Bomb Program Group from start to finish including participation in the private FB Facilitators Group for real time group support during course launch months, as well as calls directly with Rhea as needed. All of this leads up to you facilitating the September 10-November 2, 2018 My Love Bomb Program in your area!